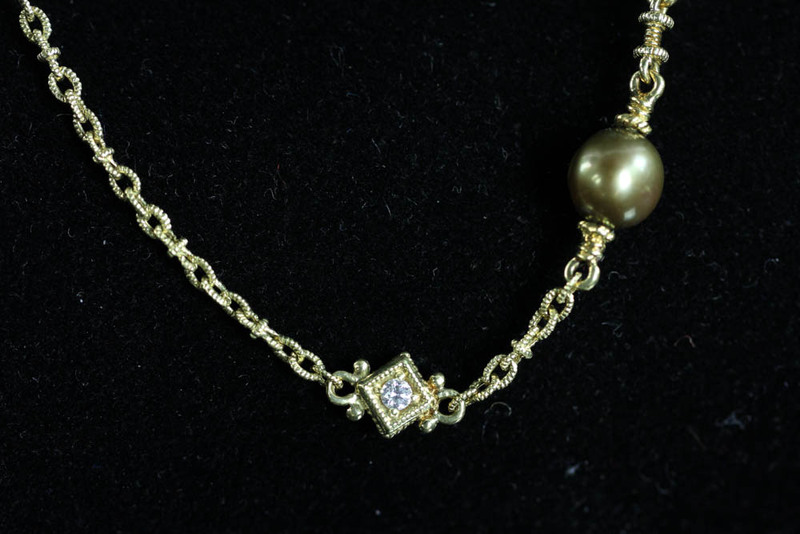 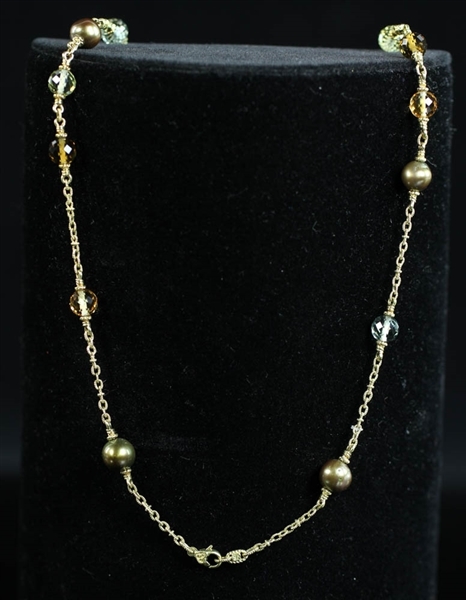 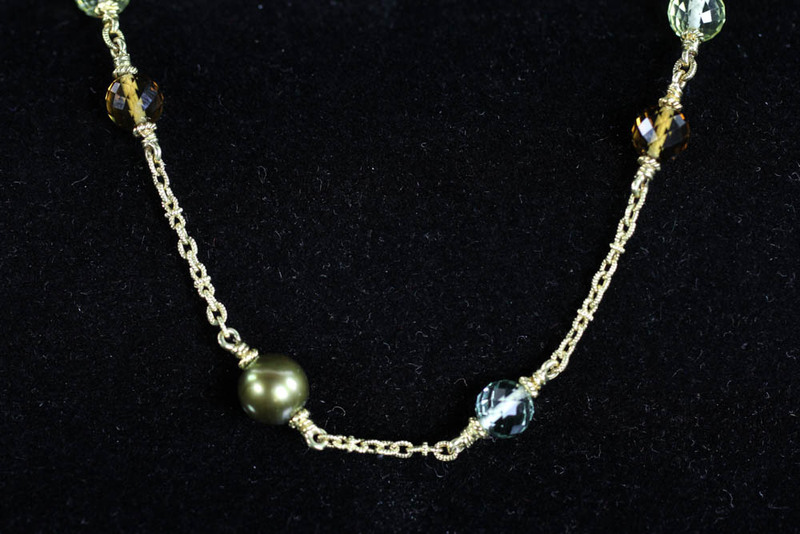 Signed Judith Ripka 18k gold necklace with unusual chain link, having black pearls, diamonds, and faceted semi-precious stones. 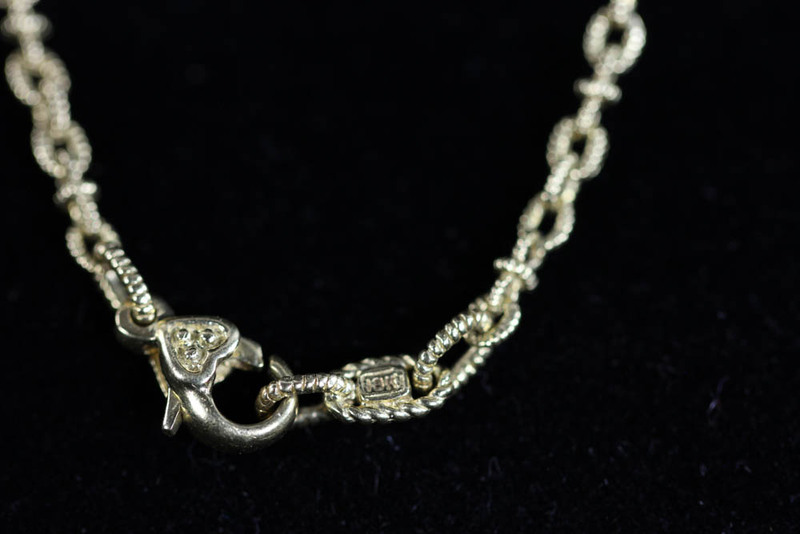 31" L. Approximately 49 grams TW. PLEASE NOTE: payment for silver, gold, jewelry, and coins must be made via PayPal, cash, or bank wire transfer ONLY.